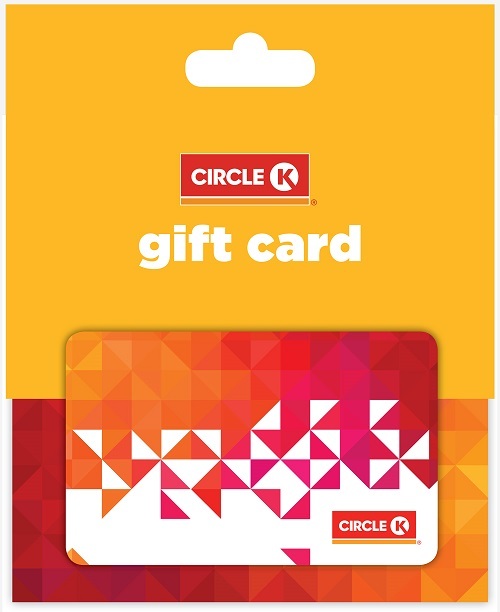 €50 Circle K Fuel Card. Now you’re motoring! Top up the tank up with a €50 Circle K Fuel Card, valid at any of over 444 Circle K service stations nationwide. Circle K Quality Fuels contain a special additive that cleans your engine as you drive, and improves engine efficiency by up to 3% - so your €50 Fuel Card goes even further. Click ‘Redeem’ and your €50 Circle K Fuel Card will be sent by post to the address that you have registered with Dulux Trade Points. Please allow up to 10 working days for delivery. 1. Offer is valid for a €50 Circle K fuel card. 2. Circle K fuel cards will be supplied in € and can be used as full or part payment towards fuel in Republic of Ireland only. 3. Vouchers will be sent to the address registered with Dulux Trade Points. Deliveries will be made using An Post/Royal Mail services. All orders will be sent by registered post and will require a signature on arrival. 4. Vouchers will normally be received within 10 working days. Where possible we will try to meet all delivery requirements but neither Dulux nor TLC Marketing shall be liable for any loss incurred either directly or indirectly by failure to meet the delivery date and time indicated at the time of order being placed. ‘Loss’ in this instance includes loss of profit, costs, damages, charges or other expenses. 5. Risk will pass to the customer upon delivery. Neither Dulux nor TLC Marketing can be held responsible for lost, stolen or damaged fuel cards following delivery to the recipient. The fuel card will NOT be replaced or refunded if lost, stolen or damaged. Neither Dulux nor TLC Marketing is responsible for fuel cards used without your knowledge. 6. Circle fuel cards cannot be exchanged for cash and cash refunds will not be available for products purchased with this card. 7. Fuel cards which are defaced, altered or cancelled will not be accepted. 8. The re-sale of fuel cards is strictly prohibited. 9. The promotion is not valid in conjunction with any other promotion and is subject to availability. 10. There are no cash or other alternatives. 11. The promotion is not open to employees of TLC Marketing or Dulux. 12. Fuel cards are valid for 1 year from issue. 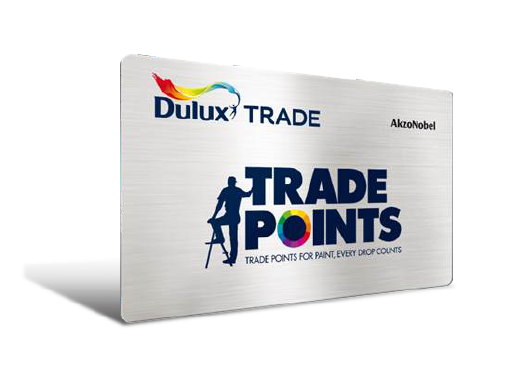 The Dulux Trade Points Loyalty Programme is our way of rewarding professional decorators like you for choosing Dulux products.